Almost half of Omanis said the increase in petrol prices has "significantly affected them", the National Centre for Statistics and Information (NCSI) revealed. In June, a whopping 45 per cent of Omani nationals said the rise in fuel price has "significantly affected them and their families" compared to 24 per cent last May, according to the NCSI. Underprivileged families in Oman are travelling less in their cars, following the rise in petrol prices, an activist working with a local volunteer group said. 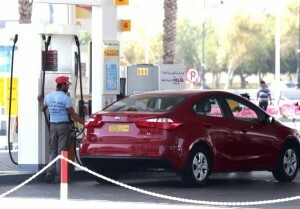 "Some have replaced their 4X4 vehicles with cheaper V4 sedans to save money," said Khalid Al Syiabi. Al Syiabi said that families supported by taxi drivers are the worst affected as their profession depends highly on fuel price fluctuations. The data also showed that 38 per cent of locals were slightly affected by the increase, while the remaining 17 per cent said they have not been affected. This jump in prices has led to more people selling their vehicles and changing their driving habits as 44 per cent of Omanis have already changed, or are thinking of changing the fuel type they use for their cars. Moreover, 34 per cent of Omanis believe that altering the petrol price has had a negative impact on the country's economy. NCSI said around seven out of 10 Omanis know that petrol prices in the Sultanate are being altered every month. High fuel and other product prices are driving young, aspiring people to sell their vehicles to make some extra cash during these difficult times. Yaqoob Al Suleimi, an Omani national, said fuel prices are the number one reason why he has placed his car for sale in public.